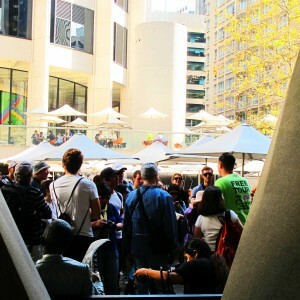 During this 2½-3 hour, easy-walking tour we will uncover the history and explore the sites of Australia’s most popular city. Your friendly and knowledgeable Sydney tour guide will give you insights into the people, places and events of this sun kissed city. From the Town Hall we will explore Sydney’s beginnings and development from it’s early days as a convict colony right up to the major developments that have made Sydney the world city that it is today. 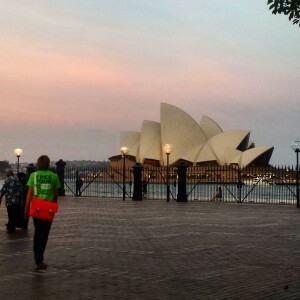 We’ll also cover things to see and do in Sydney especially those that are free, to make your stay as enjoyable as possible. 10:30am and 2:30pm Every Day from Town Hall Square. No need to book. 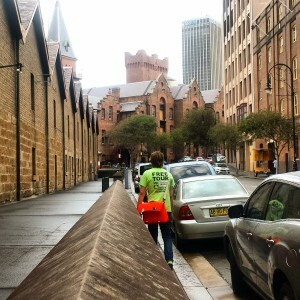 You’ll find your guide wearing a bright green “I’m Free” T-shirt on George St between Sydney Town Hall and St Andrew’s Cathedral. We want everyone whatever their budget to enjoy Sydney as much as we do. For this reason we don’t charge up front, instead we leave it to you to decide what you thought the tour was worth at the end. 10:30am and 2:30pm Every Day (excluding Christmas Day, 25th December). Town Hall Square, on George St between Sydney Town Hall and St Andrew’s Cathedral. See below for more information on how to find us. If you are a group of 10 or more. Please register with us at least 24 hours in advance. 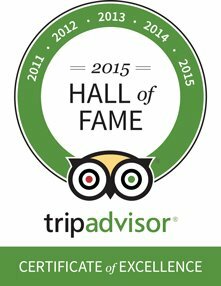 To maintain the quality of our regularly scheduled tours we will have to organise you a separate private tour. I’m Free Tours reserves the right to deny participation of any group. The Sydney Sights tour is wheelchair friendly.